Donald Trump first rose to prominence in the Republican race on the issue of illegal immigration, which he "addressed" in his usual careless and intemperate style ("build a wall and make Mexico pay for it"). From the viewpoint of whipping up the nativist Republican base, this tactic has been a great success. For the country, it's a disaster. The most obvious reason is that it's encouraging a wave of explicit and very ugly anti-Latino xenophobia. There was last week's vicious attack on a Latino homeless man in Boston, and people are going public with utterly hateful views at right-wing news sites and Trump events (the point is not the merits of illegal immigration or of Ramos's behavior at the press conference, but the mentality revealed by the comments). Right-wing populism usually includes singling out some minority group as a target for the frustrated masses to take out their anger on. That target has traditionally been the Jews, but the Holocaust has made open anti-Semitism unacceptable in modern society. As the largest minority in the US, and a growing one, Latinos are an obvious bogeyman for a right-wing base already agitated about the country's demographic evolution. I don't think Trump himself consciously intended to call up this monster, but that hardly matters. It has been called up. This would obviously be wrong and dangerous in itself, but there's another side to the problem. The number of illegal aliens in the US has actually declined since 2007, because more Mexicans (who actually make up only half of all illegals) have been going back to Mexico than have been coming to the US. 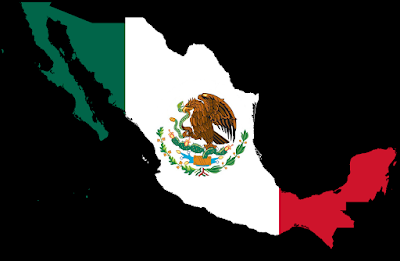 As I've observed before, this is mainly due to the dramatic improvement in Mexico's economic situation; there are simply more opportunities at home than before. Mexico's economy is now the world's 15th largest and is growing more than twice as fast as the US economy. It is also the second-largest market for US exports, buying about 15% of our total exports. With a growing entrepreneurial culture, Mexico is an important country, both globally and to the US specifically, and will become more so in the future. Apart from his obvious unpopularity with American Latinos, Trump and the xenophobia he's fueling have evoked anger and fear in Mexico itself. The more credible his Presidential bid appears and the more legitimacy he's afforded within the US, the worse this will become. US relations with Mexico have begun to improve after a long history of meddling and territorial aggression (part of the reason the US has a large Latino population is that Texas, California, and everything in between were seized from Mexico in wars in the early 19th century). Trump and his followers could reverse that trend just as Mexico's economic rise is making the consequences of igniting a feud with it ever more serious. Some Democrats actually hope that Trump becomes the Republican nominee because he'd be easy for Hillary to defeat. We should resist this temptation. The nominee of either of the two major parties always has some chance of getting elected. While any Republican as President would be a disaster, a Trump Presidency would likely be distinguished by a trade war and an utterly pointless trashing of relations with a rising power right on our border. I don't think *any* Republican would be a disaster but Trump would be a catastrophe of Biblical scale. I quite like Carly. Anyway. The USA trying to pick a fight with Mexico would be risible if it wasn't serious. As a Brit I don't see us picking fights with our neighbours. No, the nearest British equivalent to this would be some National Front yobbo somehow becoming a big wheel in the Tory party, whipping people up by ranting against Irish residents in Britain, and ending up starting a trade war with Ireland. Not very likely to happen. It's looking seriously possible that Trump could be the Republican nominee, but there's no way he's going to win the Presidency. Oh, and as for any Republican being a disaster, sorry, but they're all nuts these days.